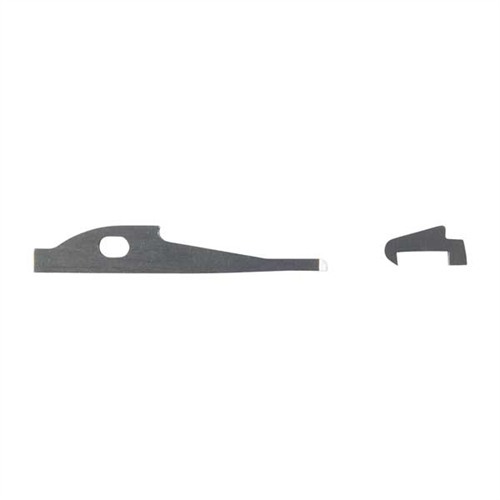 Our Shims Fit All Series of Mark Pistols are Available in .002" through .009"
Order Any Kit on This Page and Request Custom Sizes via Email. or request Thickness .002" - .009"
4 Pak is 2 each in .003" and .005"
6 Pak is 2 each in .002", .003", and .005"
8 Pak is 2 each in .002", .003", .005" and .007"
12 Pak is 4 each in .002", .003", and .005"
24 Pak is 6 each in .002", .003", .005", and .007"
between the Trigger and the #AN37 Bolt Stop Assembly. a Common Problem with this Gun. I just wanted to drop a quick note to thank you for this kit. 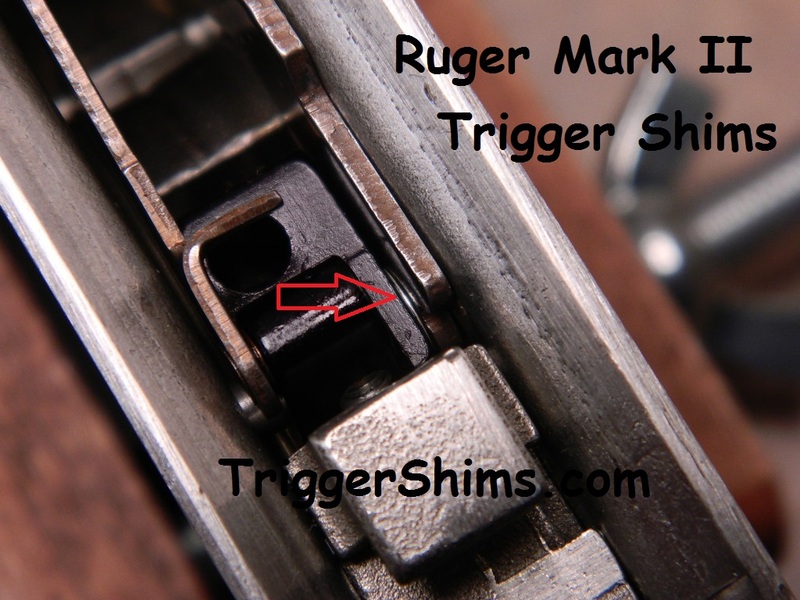 I installed this kit in my Old Ruger Standard Pistol ( 1958, not mark I ) and it transformed it from a plinker, to a full blown target shooter, capable of 1/2" 3 shot groups at 30 yards. People don't believe it until they see it shoot. Amazing kit and very little gunsmithing to make it work perfect. Whole job took about an hour with a little file work. 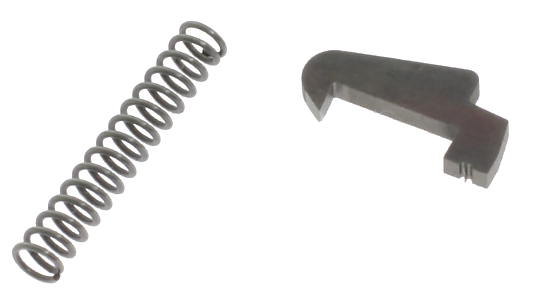 Thanks to you, this thing is a tack driver!....Literally! I was told by my buddy's it was just a fluke! No way! Great kit! Thanks Very Much - Dave S.
The Hook is .005" Closer to the Rim of the Cartridge to Allow for the Most Positive Extraction Available! 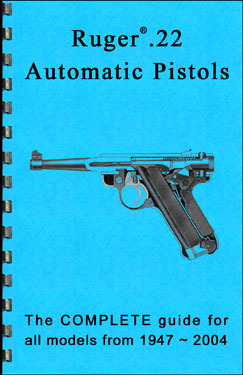 Another Must-Have for 10/22, 22/45 and MkI MkII MkIII Owners! 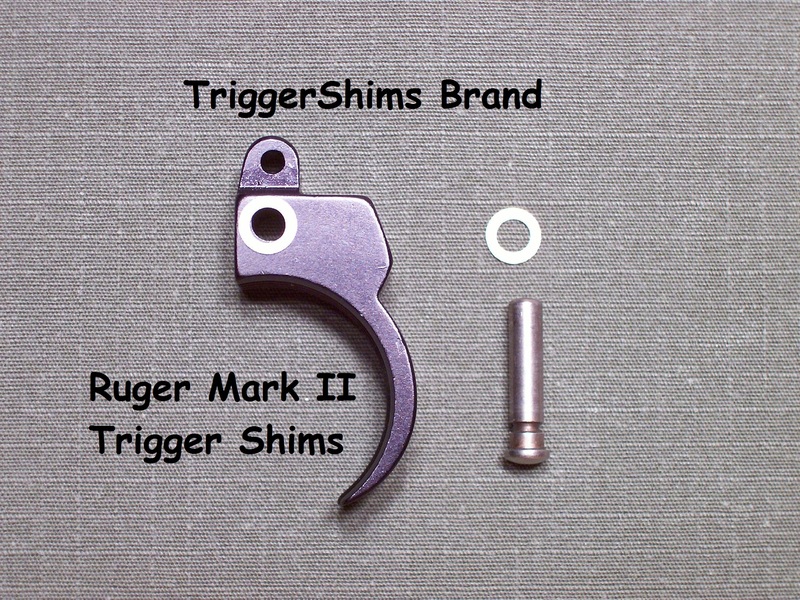 Fits Ruger MKI, MKII, & MKIII including 22/45. 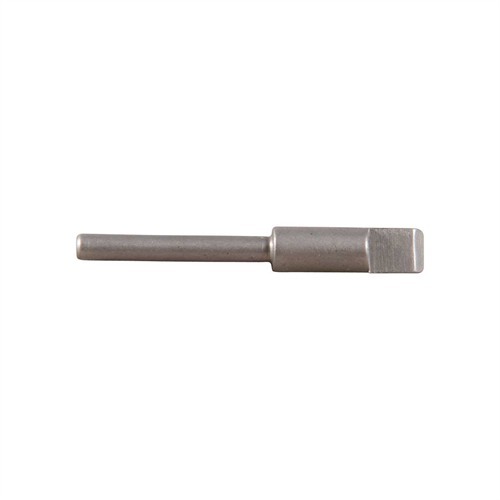 Firing pin sold with extractor. 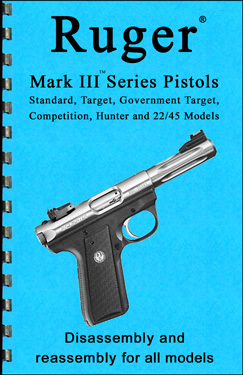 This is the ammo I use and recommend. Five round groups in one ragged hole are possible with this ammo at 50 yards benchrest, as I have done it. It may not be as consistent as the $15 a box stuff, but it fits my pocketbook when I want to make holes in paper! 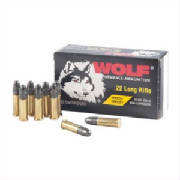 Wolf 22 LR target ammunition is loaded with VihtaVuori powder prized by centerfire benchrest shooters for its consistent burn rates. The high-quality brass is formed using a proprietary manufacturing technique that maintains outstanding round-to-round consistency to help deliver consistent pressures and superb accuracy. 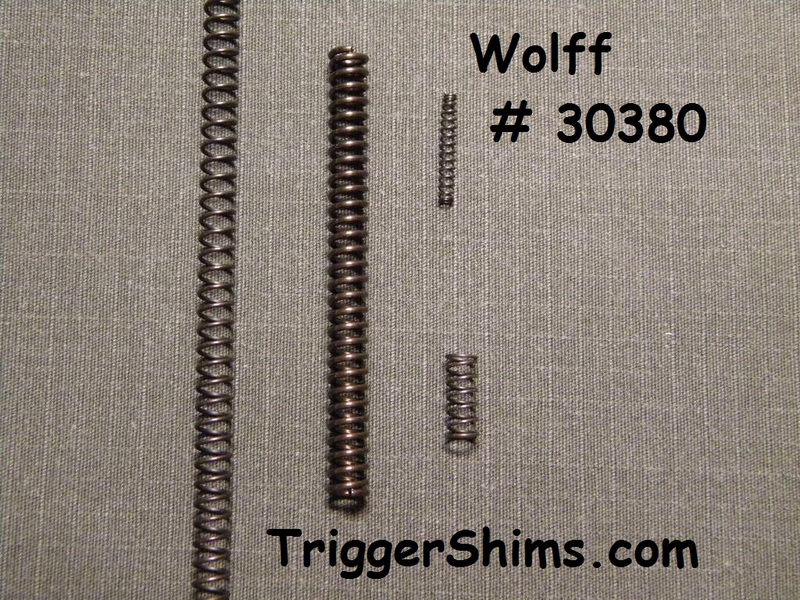 This ammo is sold and shipped through Brownell's - click the picture to go to Brownell's Wolff Ammo Page.